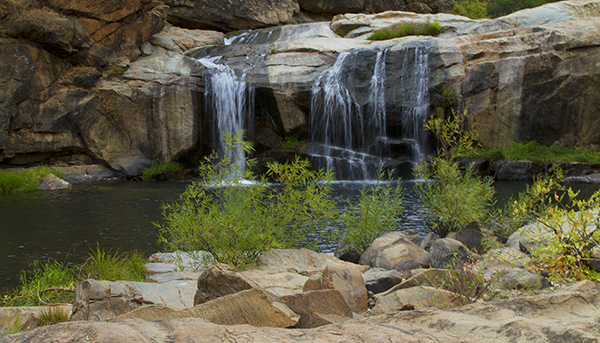 Deer Creek Falls with Aroyo Willow in the foreground. 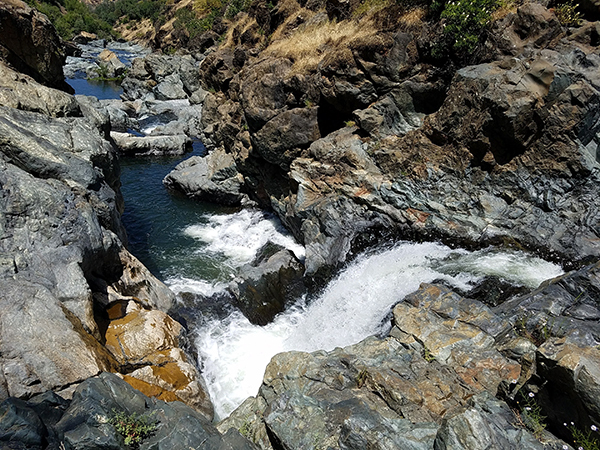 Deer Creek meets the Yuba River at Black Swan Preserve. Image shows ‘Yuba Blue’ moss boulders that are made up of basalt, agate, jasper, magnetite and fine flecks of gold. The Smartville Complex comprises a north-trending submarine intrusive-extrusive (ophiolitic) complex, approximately 100km long by 40km wide in the northwestern Sierra Nevada Foothills. Generally, from bottom to top, rocks comprise serpentinite (a few exposures), olivine gabbro, and layered gabbro, varitextured massive pyroxene and hornblende gabbro, plagiogranite, massive diabase, sheeted diabase, pillow lava, and volcaniclastic sediments. 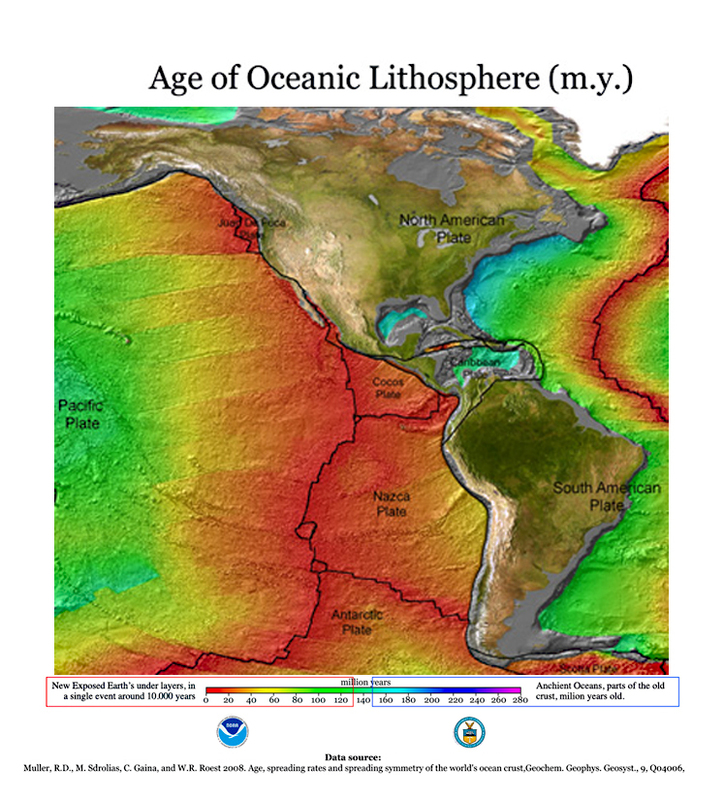 A few massive sulfide deposits are present in the volcaniclastic sediments. Rocks range from nearly undeformed–perhaps the best-preserved sheeted dikes and pillow lavas in North America–to highly schistose. Structure is complex, but rocks describe approximately a north-trending antiform that structurally overlies mélange and associated sediments of the Central Belt of the Sierra Nevada. Dikes intrude both igneous rocks and here and there Central Belt sedimentary rocks. Dikes are mostly north-trending, but curve to NE-trending towards the N. In places (Stanfield Hill, Marysville Road) the dikes are nearly undeformed, trending NNW and dipping steeply E. In other places, e.g. in Auburn, Oroville Dam south abutment, and along the E. side of the complex, dikes and other rocks are highly foliated. Volcanic rocks compositionally are mostly island-arc tholeiites and oceanic andesites, although MORB compositions have been reported in a few places. Tectonic relations with underlying rocks include a tectonic window near Higgins Corner, a half-window north of Lake Oroville and the high-angle Wolf Creek Fault zone and continuations on the eastern side. On the west, the Smartville and associated rocks are covered by Great Valley deposits and/or intruded by subsequent granitic plutons. Associated ophiolitic rocks include the older Lake Combie Complex, east of SR 49, and the approximately 200 Ma Jarbo Gap and Slate Creek Complexes N and NE of the Smartville complex.